Commander Ag-Quip supplies a variety of quality veterinary farm equipment, including the Te-Pari docking irons. 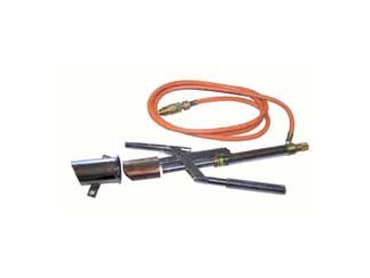 These Te-Pari gas fired docking irons are designed for the quick, safe and professional tailing of lambs. Using these docking irons to sear the lambs tails leaves a clean and sealed wound as well as minimising any bleeding. The use of docking irons has been proven to be less stressful to lambs than rings and reduces the risk of lamb losses through fly strike. Contact Commander Ag-Quip to order and for expert information on choosing the most suitable agricultural and veterinary equipment for specific requirements.